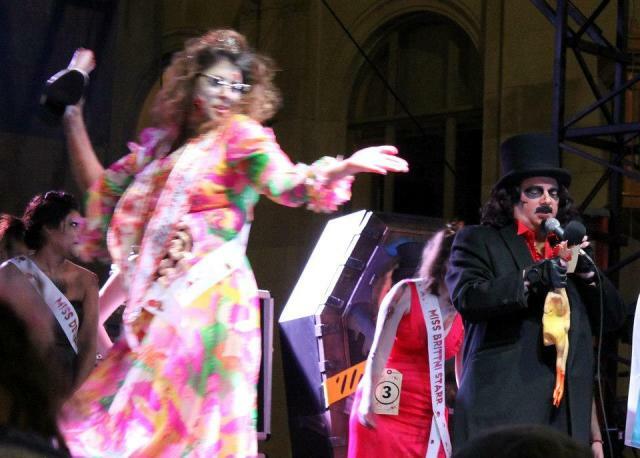 2012 Miss Zombie and Svengoolie’s New Coffin: “Nightmare on Chicago Street” Finale! Much to my son’s horror, we middle-agers had no trouble letting our “Big 80’s” hair down as we rocked out to “The Final Countdown,” “Nuthin’ but a Good Time,” and “Kickstart my Heart!” There was certainly no need for us to feel self-conscious or silly as this was one concert where the audience was more fun to watch than the band. 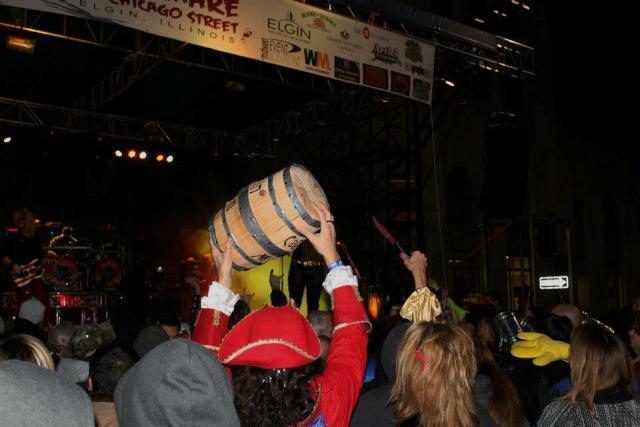 Never, but in my weirdest dreams, could I imagine seeing a lit-up Spongebob Squarepants attempt a Van Halen “Jump” alongside Captain Jack Morgan as he shook his signature barrel of rum. 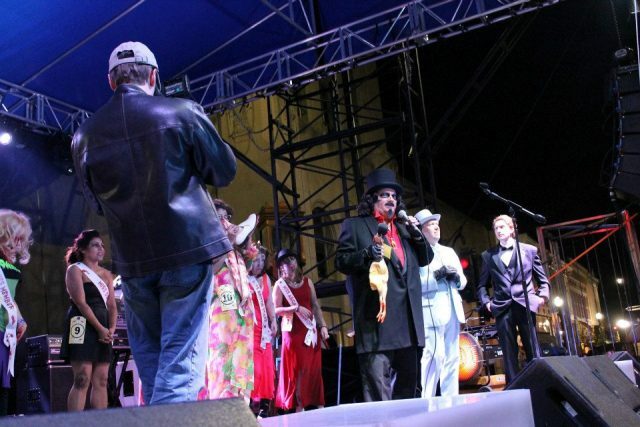 I should also mention that Captain Jack Sparrow was present as well, though the two pirates never mingled. 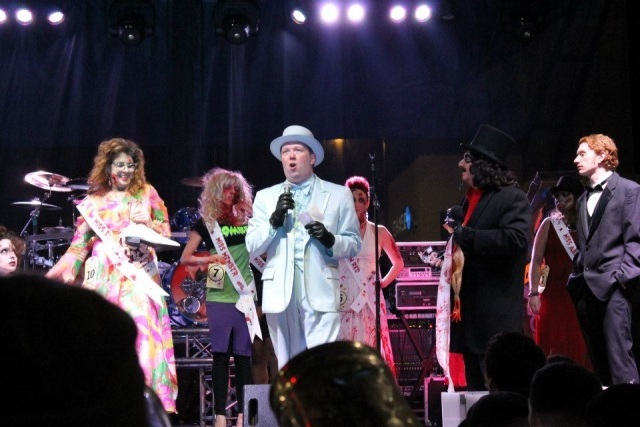 My only complaint about this concert was that it was so much fun, and brought back so many fun memories, I was compelled the following week to rent the movie ROCK OF AGES – a.k.a. 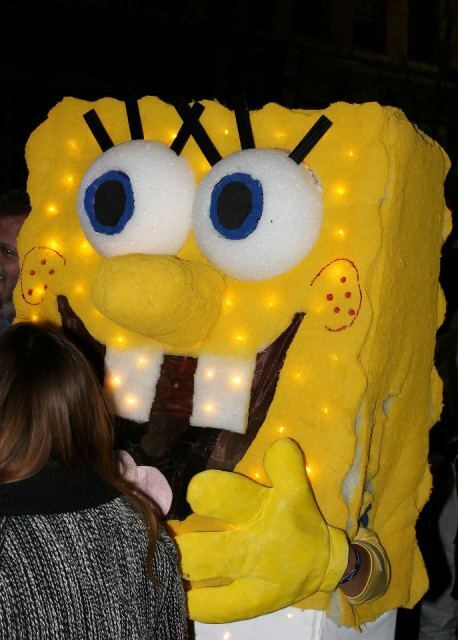 two hours of my life I’ll never get back. 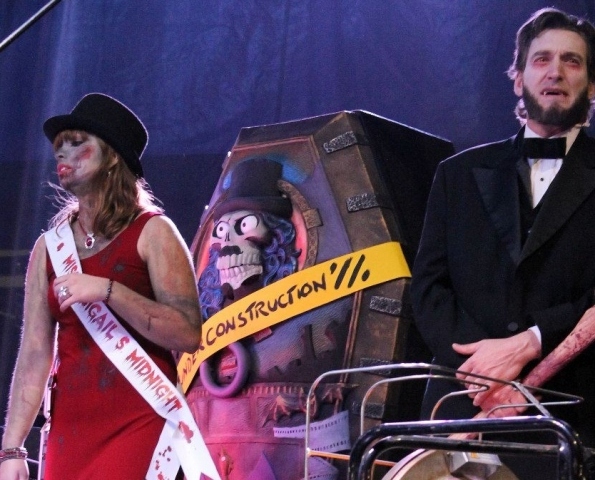 After all the grisly gals lined up, the crowd went wild as the man of the hour was finally introduced. 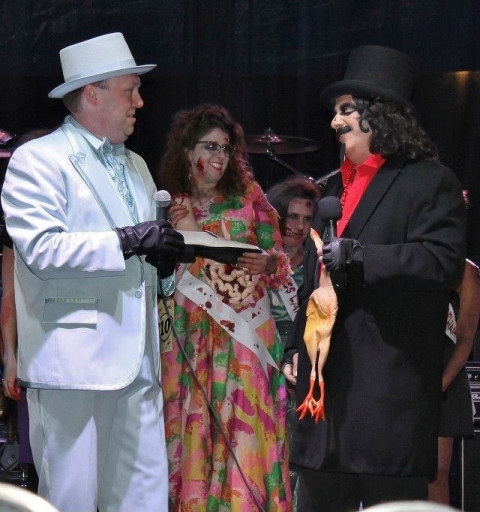 Svengoolie took to the stage and, before attending to the task at hand, bantered a bit with the event’s emcee. 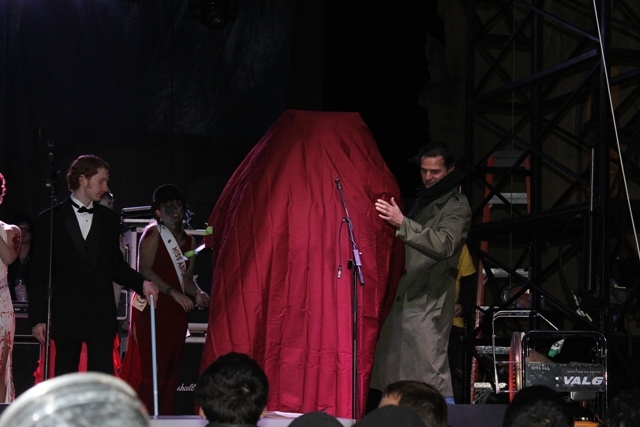 The wrap was pulled and Sven was unable to hide both his shock and obvious pleasure at the work the talented folks at ACME had accomplished! Acme is an Elgin-based company headed by Clint Borucki who employs some incredibly talented artists and craftsmanand, clearly, the right folks for the job! 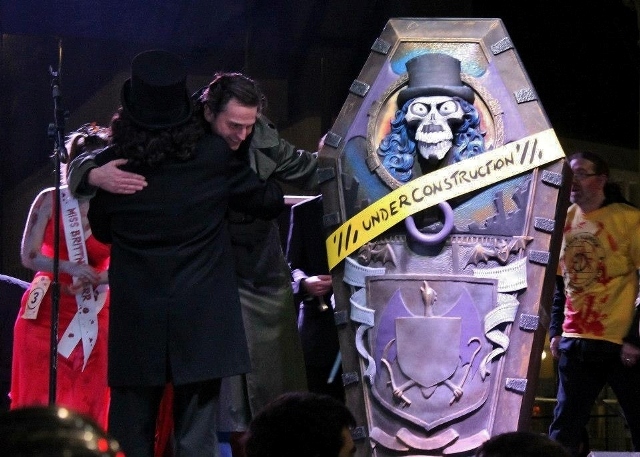 Even Abraham Lincoln Vampire Hunter (right) endorses Sven’s new coffin design! Sven shows his appreciation to designer, Ryan Guenther! 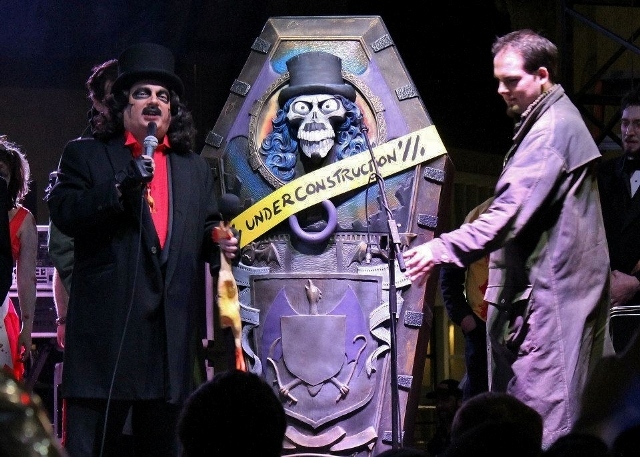 It was a proud day in Svengoolie history and one I’m a so thankful to have witnessed! 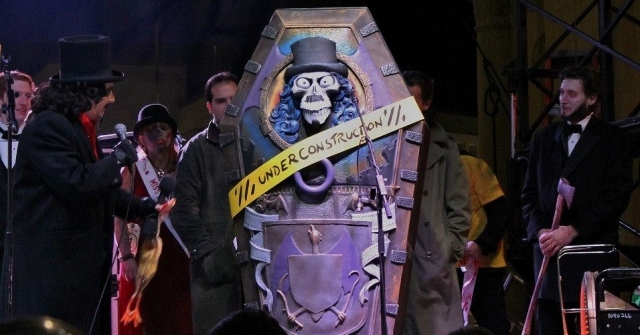 As a big fan of Rich Koz’s Sven, I definitely felt like I was on top of the world…and without having to indulge in any of those Zombie-tinis I mentioned earlier. 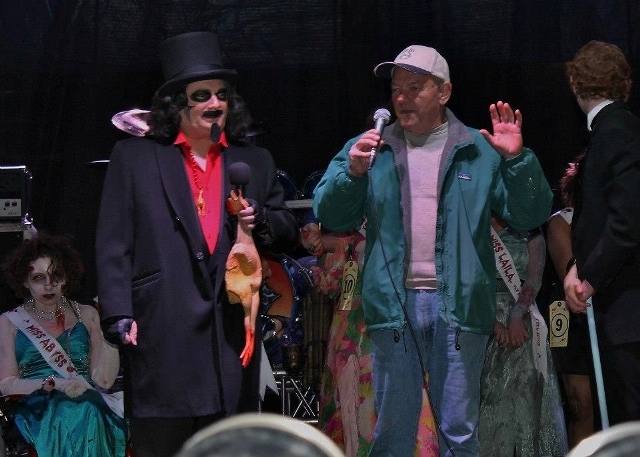 From my perspective, announcing the winner of The Miss Zombie pageant seemed rather anti-climactic but, regardless, Svengoolie gave them one more chance to rally their fans before presenting one of the dead divas with a crown. 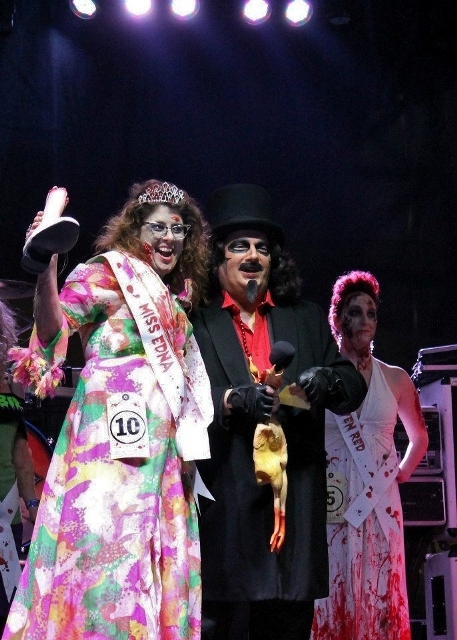 Looking as if she’d just crawled out of her grave, the winning ghoul strutted her stuff (while holding an amputated limb) as Svengoolie did one of the things he does best; performed a parody song. 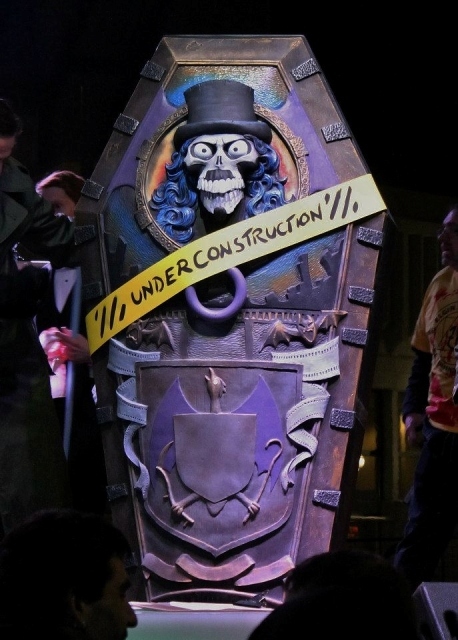 Sven wrote the lyrics after Elizabeth Haney suggested the idea to him. 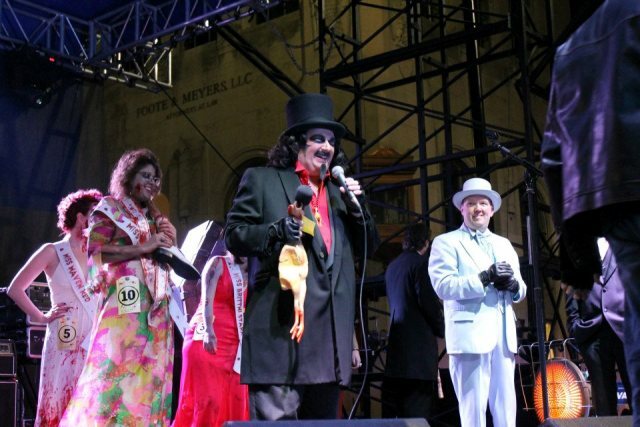 I’m so glad she did since this represents the first time I got to see Svengoolie sing “LIVE” (I’m not counting that “Take me out to the Ball Game” he did at The Slammers game in July) even if for the dead. 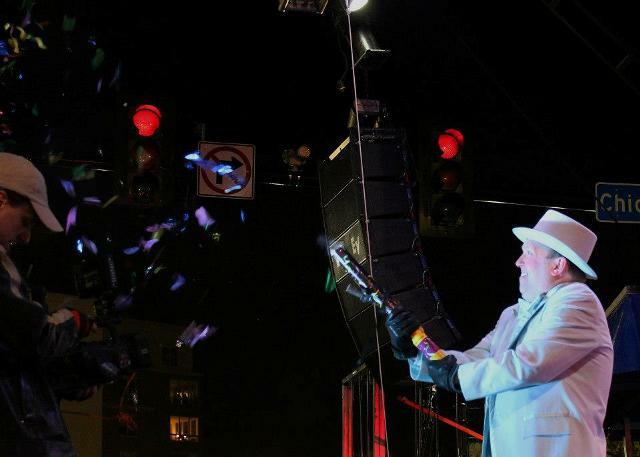 The festivities were officially over when the Zombie pageant emcee popped off some confetti and the satisfied onlookers began clearing the streets. 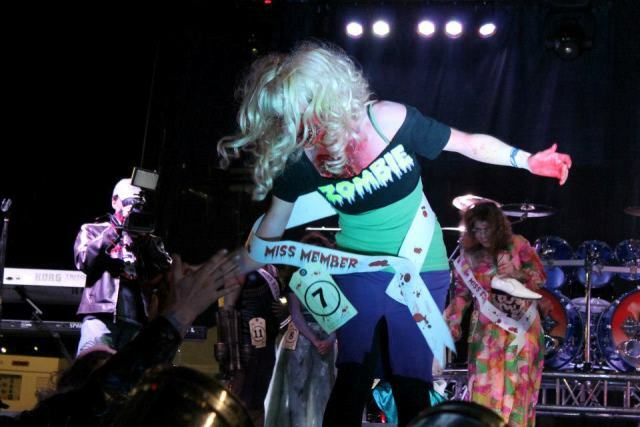 We made our way back to our cars and passed some undead dancers gyrating to Michael Jackson’s “Thriller” on top of a multi car pile-up. It was a long day and a late night but I was smiling from ear to ear. 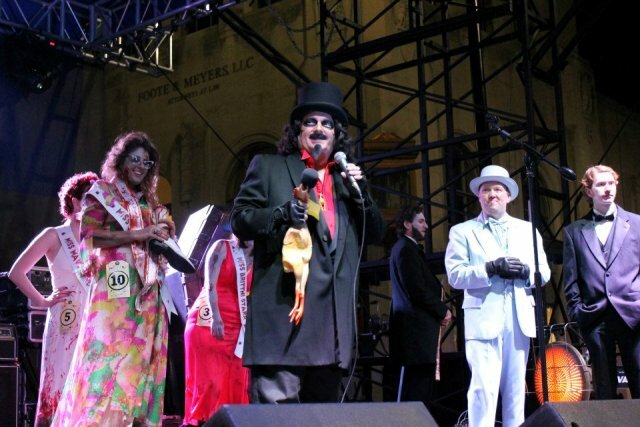 This entry was posted in Cosplay, Haunted Attractions, Horror, Horror Hosts, Stalking Svengoolie! 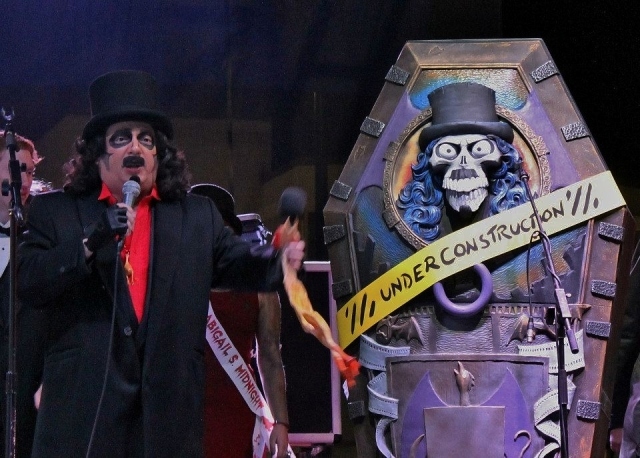 and tagged Abraham Lincoln Vampire Hunter, ACME Design, Nightmare on Chicago Street, Svengoolie, Svengoolie Coffin, Zombie. Bookmark the permalink. 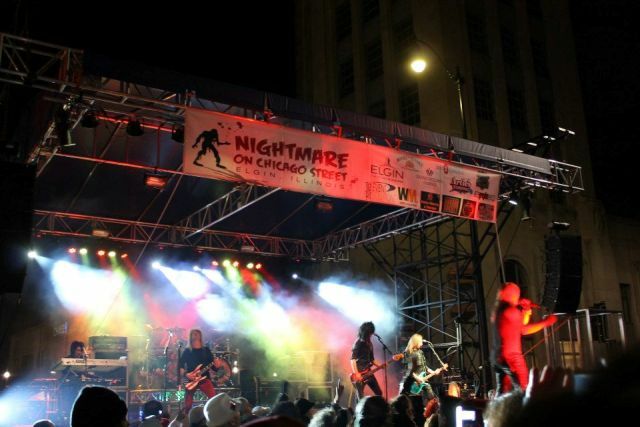 When and Where will nightmare on Chicago street take place this year?